Rewards Canada: April 1 Update: 500 Bonus Points for stays at the world's largest Residence Inn in Calgary, targeted 35% bonus for hotel points to Aeroplan conversion & more! 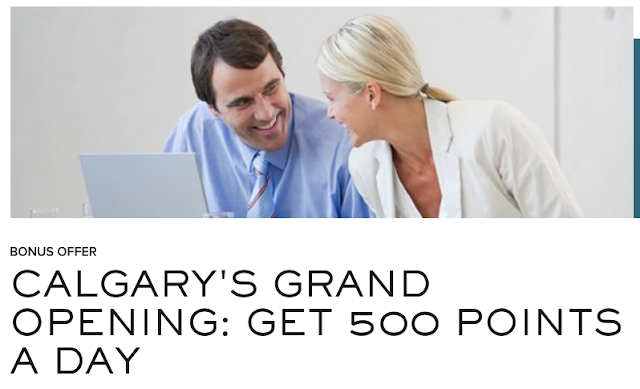 April 1 Update: 500 Bonus Points for stays at the world's largest Residence Inn in Calgary, targeted 35% bonus for hotel points to Aeroplan conversion & more! Rewards Canada is back from spring break vacation! Time to get back to your daily points and miles fix! Last month the Residence Inn Calgary Downtown/Beltline District officially opened as we had previously noted in our Marriott New Hotel Openings in Canada for 2019 - 22 hotels in the works post from January. What makes this opening significant, is that according to Canadian Lodging News, this hotel is the largest Residence Inn in the World with 33 floors and 390 rooms! To celebrate the opening you can earn 500 bonus points per night for stays until April 30th! Find out more here. 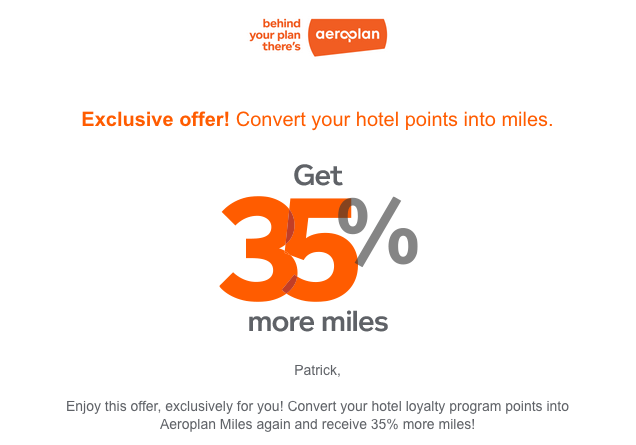 Aeroplan's conversion bonus from hotel loyalty programs that offers a 30% bonus. There are targeted offers out there for 35%, I did receive it and many of our readers have let us know that they have received it as well! Check your email for a targeted flight bonus offer from Air France KLM! The offer is for double miles on all their flights out of Canada in all classes that are booked by April 30 for travel until June 30. Continuing on with AF KLM news, the promo rewards offers for discounted tickets are out for April however there are no Canadian cities included so you won't see our regular post about it this month. Find what offers are available here. A look at how The Marriott Bonvoy American Express Card provides huge value!